This page lists boxes in three sizes to hold 8, 10 or 20 pens each. Each one is made entirely of wood, including the hinges and fasteners. I use a clear oil finish, but no stains or dyes, so all of the colors are natural. 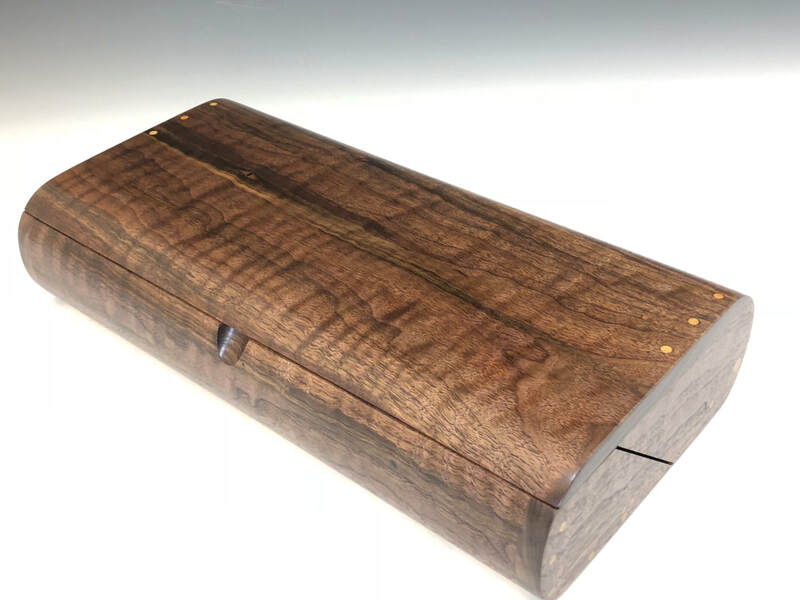 Please scroll down to see all of the boxes for 8-20 pens I have available as of 03/31/2019. If I don't have the size/wood combination that you want I will be happy to make it for you. Please call me at 828-298-6007, or email me at rjwdcrafts@aol.com, or click here. The box shown above is an example only. Please scroll down to see boxes currently available. 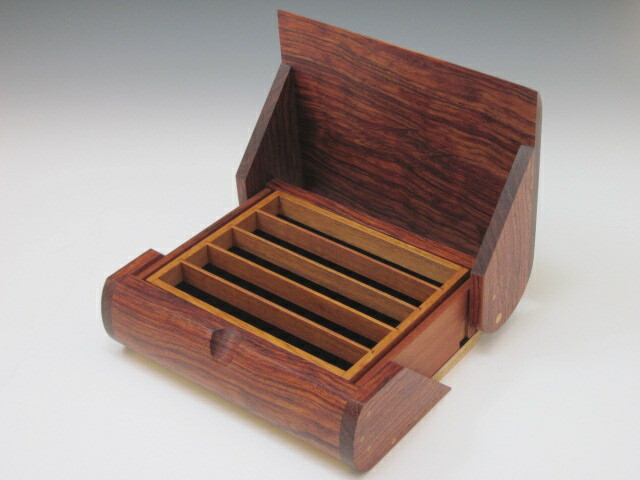 Dimensions: 9" x 6.5" x 2.75" outside, 7.375" x 4.75" x 1.75" inside. 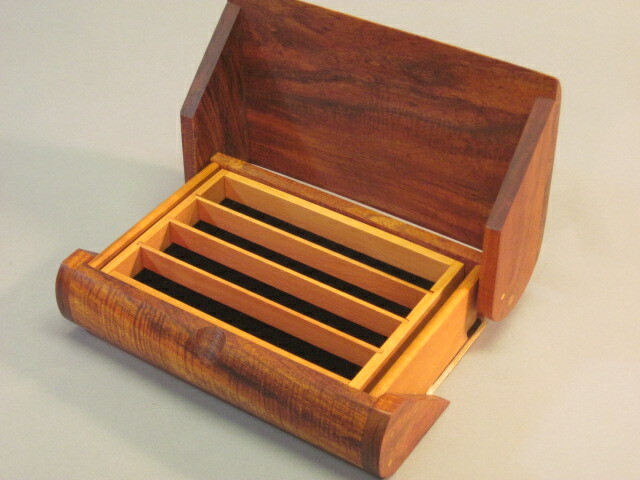 This box comes with a four compartment tray and the space underneath it is divided into four more tray compartments. Base price for a BX-06 is $210, some woods will cost more. It can be ordered without the tray and compartments for $25 less. More information about trays and dividers is available here. There are no BX-06 boxes currently available, I will be making more soon. Please call or email me if you would like to have one made to order. Dimensions: 9" x 8" x 3.25". There are five pen slots in the lift-out tray, and five in the main compartment underneath the tray. 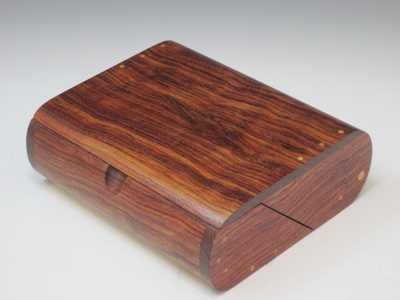 The base price for a BX-16p Pen Box is $320, some woods will cost more.This box is also available as a jewelry box, watch box, tea caddy or as an empty box with a single large compartment. More information about trays and dividers is available here. The BX-16 boxes listed below are available, but have not yet been photographed. Please call or email if you would like more information about any of them. 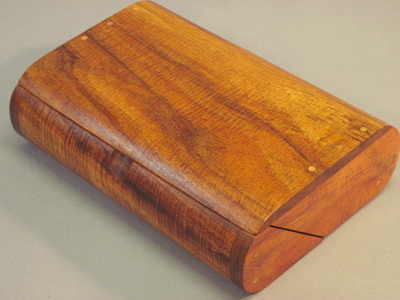 Dimensions: 15" x 8" x 3.25" outside. 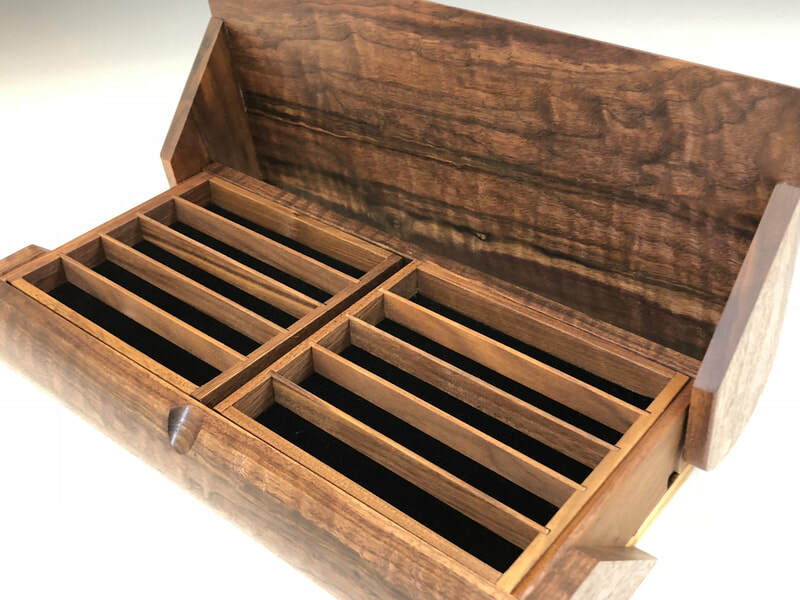 This box has four lift-out trays with five pen slots in each, for a total of 20 pen slots. Base price for the BX-17p Pen Box is $475, some woods will cost more. This size is also available as a jewelry box with two trays and compartments, a tea caddy with eight tea compartments, or as an empty box. More information about trays and dividers is available here. The BX-17 boxes listed below are also available, but have not yet been photographed. Please call or email if you would like more information about any of them.